I love that students have the power to change lives. Kiva gives us the power to empower people all over the world. 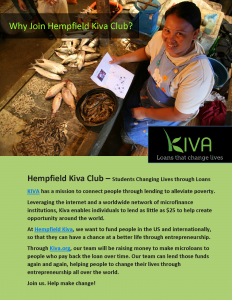 Hempfield Kiva gives people all over the world chances to help entrepreneurs all over the world work to support their needs and dreams. It has been so rewarding to raise money with my classmates to lend to farmers, business owners, shop owners, and other entrepreneurs who need a loan to fight poverty or sustain their families and local communities. 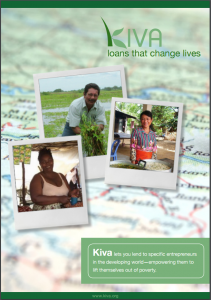 Kiva borrowers are inspirational because they work hard to build strong businesses to help themselves make successes. When you can reloan money that has been repaid and know that same investment will help other people over and over, students are helping to change so many people’s lives. 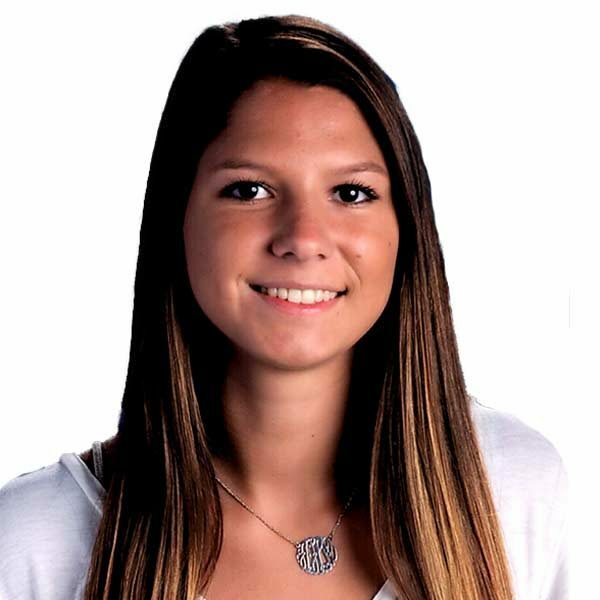 In addition to serving as vice president of Kiva Club, I am an avid travel soccer player and active in Ski Club, Mini Thon, Varsity Club, and GirlsGo.